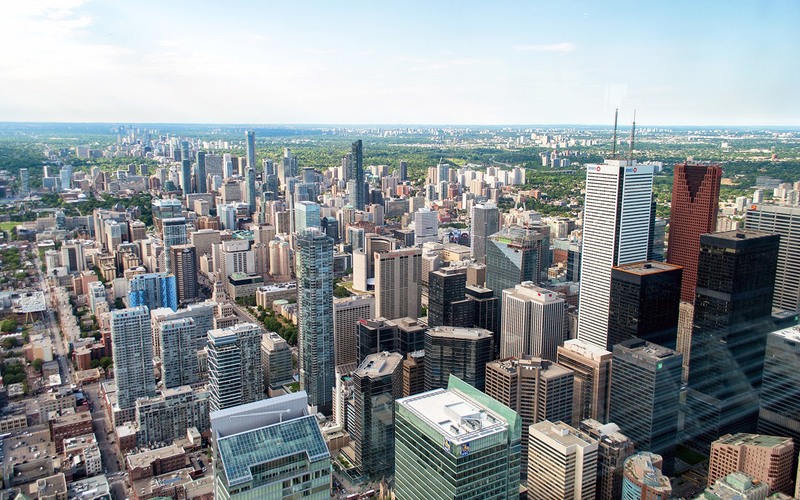 Modern and multicultural, Toronto is eastern Canada’s powerhouse city. 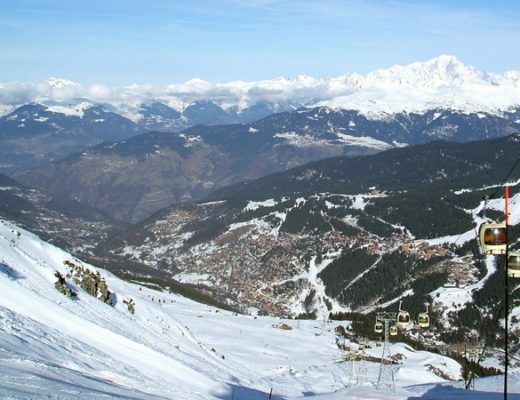 It’s a huge, sprawling place, made up of lots of smaller, individual neighbourhoods. But a weekend is just enough to get a taste of Toronto. And this is a weekend packed full of different experiences. You’ll get a view from on high, feast on food from around the world, experience Canada’s sport obsession, and even fit in an island escape. So here’s how I’d spend my perfect 48 hours in Toronto. We arrived into Toronto after two weeks of sleeping in an RV. So we were more than ready for somewhere luxurious to lay our head, and we found it at the Thompson Toronto. This boutique hotel is located in King West Village – Toronto’s version of Soho – with lots of restaurants and bars nearby. The rooms are smart, modern and bright. But the wow-factor spot is the rooftop pool terrace and bar with views over the city skyline. Rooms from C$300 a night. For a wider choice of hotels, visit Expedia.ca Toronto hotels. 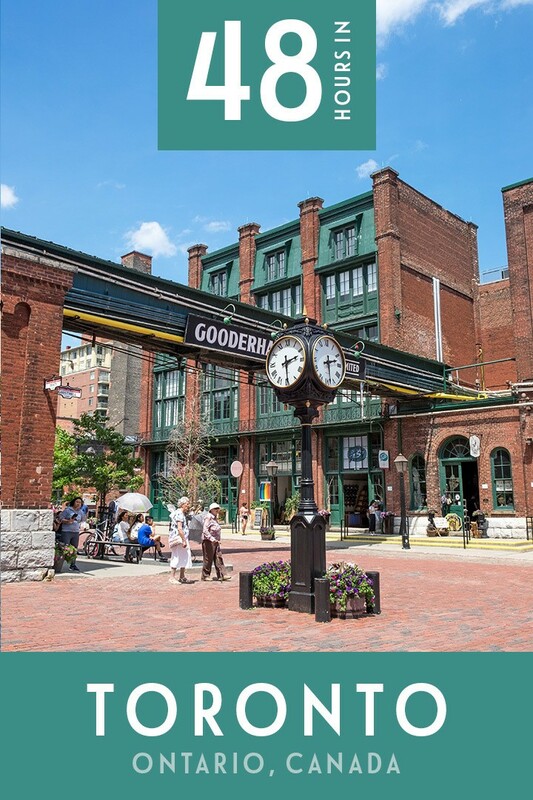 Once you’ve checked in to your hotel, head to the Distillery District in the east of the city. 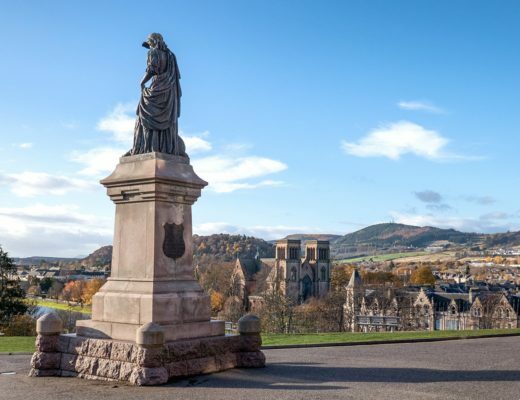 This pedestrianised area is made up of beautiful restored Victorian-era, red-brick buildings. 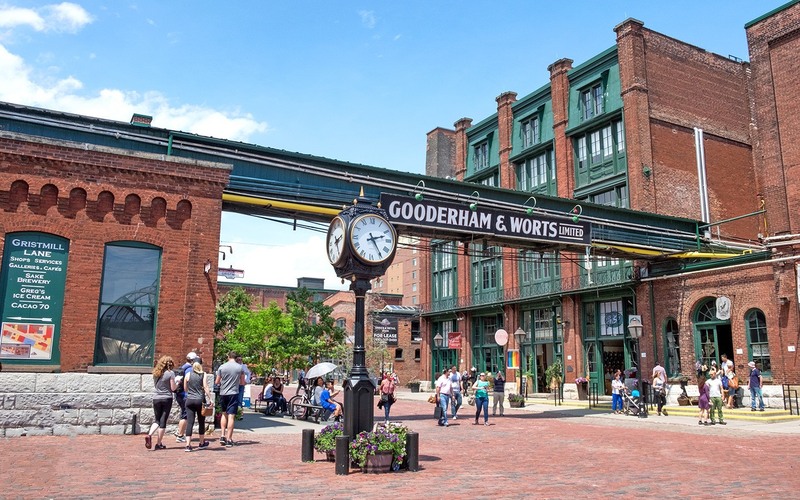 It gets the name from its days as the base of the Gooderham & Worts whisky distillery, which was the largest distillery in the world in the 1860s. 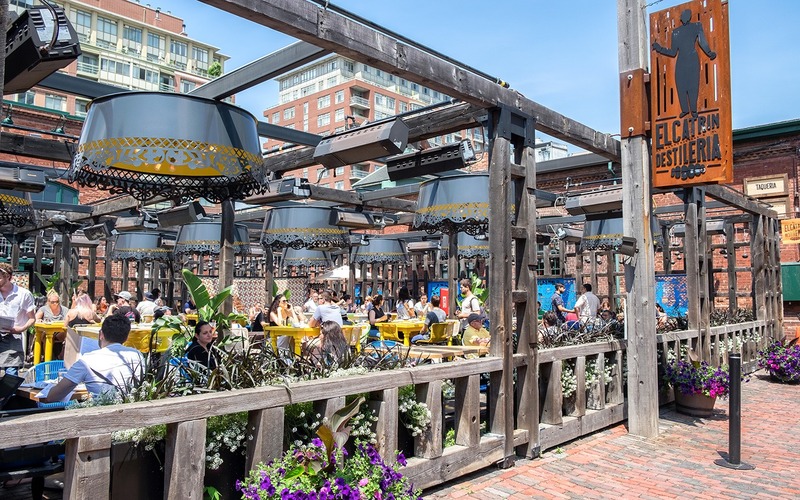 Today the Distillery District is a hub of cafés, restaurants, studios, galleries and shops spread across 40 buildings and 10 streets. Take wander around and stop off for drinks and dinner wherever catches your eye. The focus is on independent businesses rather than big chains. Try Mill Street Brewery for microbrewery beers and pub food, El Catrin for Mexican favourites or Cluny for French bistro style. 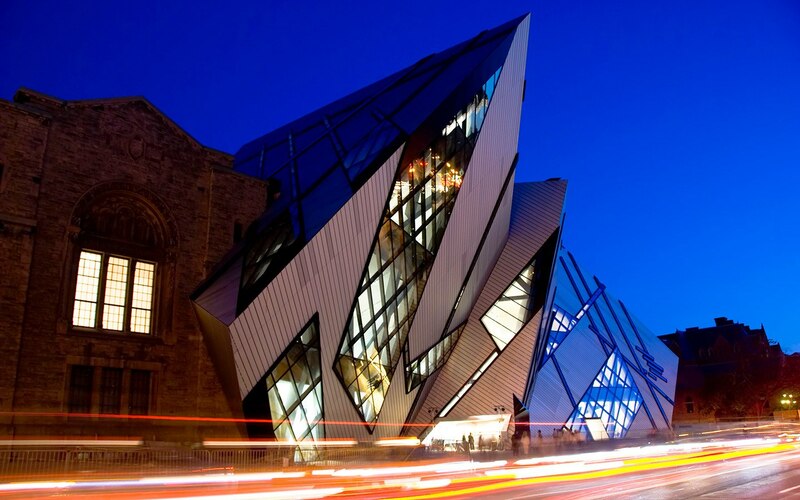 Start the day with a trip to the Royal Ontario Museum. Canada’s largest museum was originally five separate museums so it covers a real mix of subjects, featuring everything from world cultures to art, archaeology to natural history. 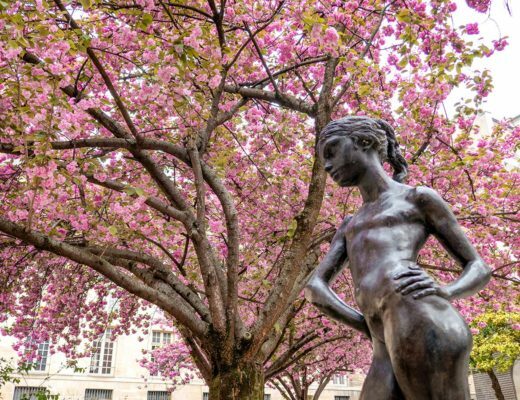 With over six million objects and 40 galleries you’re never going to see it all, so pick a few sections that interest you the most. My favourites were the dinosaurs, bat cave and First Nations totem poles. But some of the museum’s other highlights are its Asian art and ceramics collections, the Egyptian mummies, meteorites, gems and minerals. There’s also an interactive learning centre for kids. 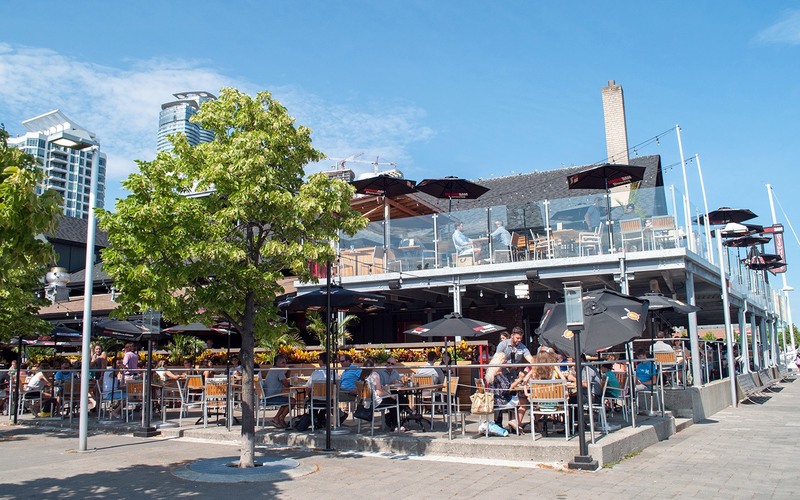 Next head towards the waterfront for lunch at St Lawrence Market (open 5am–3pm Saturdays). This Toronto icon has been running since 1803 and was named best food market in the world by National Geographic. 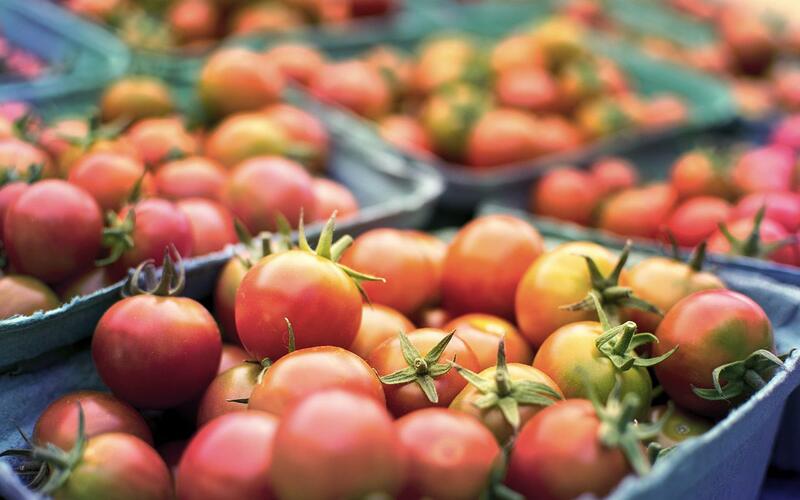 The north market is a farmers’ market selling local produce. And the south market has over 120 stalls where you can fill up on bagels, crêpes, pierogi and more. Make sure you go hungry – the smells are guaranteed to get your mouth watering. One of the classic St Lawrence Market dishes is a peameal bacon sandwich. Unsmoked bacon is cured and rolled in cornmeal to keep it moist, then served in a bun with honey mustard sauce. Or there’s the Boston Blue Fish and Chips, with crispy battered fish, chips and homemade coleslaw. Toronto loves its sports, and hockey is almost a religion in Canada. You can join the worshippers at the Hockey Hall of Fame, just a few minutes’ walk from St Lawrence Market. Fans can check out the trophies and kit on display. And hockey novices (like me) can find out more about how it’s become so huge in Canada, and try out your skills with interactive games. Head across the city to Kensington Market next. This National Historic Site is less a market and more a cool, colourful, multicultural neighbourhood well worth a wander around. There are vintage shops, record stores and boutiques to browse. Or you can go street art spotting and check out the street performers. There’s a good selection of places to eat and drink too. It’s a real melting pot of cultures and cuisines with stalls and eateries selling tasty dishes from empanadas to hot pots. Some of the most famous spots are Rasta Pasta with its Jamaican-Italian fusion pasta dishes and Wanda’s Pie in the Sky for sweet treats. Or head to nearby Chinatown for an Asian feast. 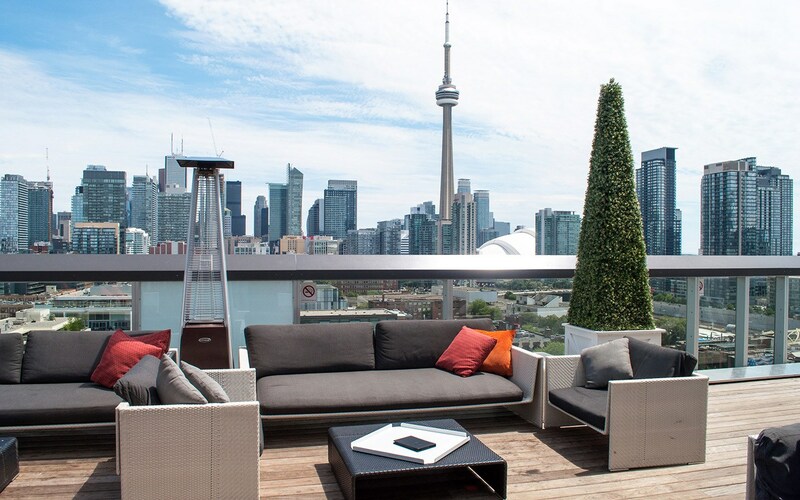 Then finish off the night with drinks at a rooftop bar – the Drake, Thompson and Broadview hotels all have cocktail spots with knockout city panoramas. The CN Tower dominates the Toronto skyline. It was the world’s tallest tower for over 30 years, and although it’s been overtaken since, you can see all the way over the city from the top – and even as far as the US on a clear day. The main observation deck is at 346 metres high, and there’s a glass-floored section just below and the Sky Pod higher up at 447 metres. If just checking out the view at the top is a bit too tame, there’s also the Edge Walk. This knee-trembling, hands-free walk takes you around the top of the tower on a five-foot-wide outdoor ledge. It will set you back C$225 though – so if either the price of the heights are too scary you can watch the crazy folks in action from the viewing platform instead. 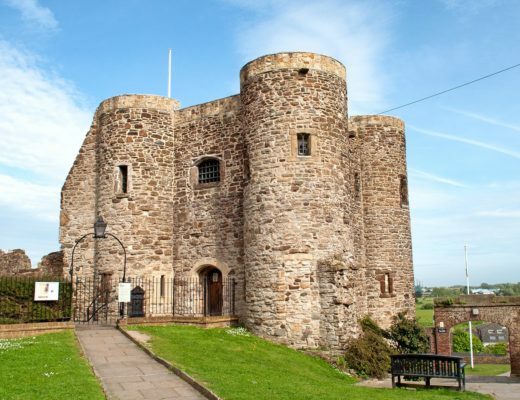 The Tower gets really busy, so get in there soon after it opens at 8.30am to miss the worst of the queues. Next door to the CN Tower is the Rogers Centre – home of the famous Toronto Blue Jays baseball team. If you can pick up tickets for a game during your weekend trip then it’s a fantastic taste of Canadian culture. Otherwise you can get a peek behind-the-scenes with a tour of the stadium, which run from October to May (check their website for dates and times). Next walk down to Toronto’s waterfront. This area along the banks of Lake Ontario used to be an industrial harbour, but was transformed into a waterfront park in the 1970s. There’s a mix of event spaces, apartments and even a few city beaches. Check out what’s on at the Harbourfront Centre – you’ll often find free music events. Then call in at the Amsterdam Brewing Co for lunch, a brew pub with a prime lakeside location and plenty of outside space for sunny days. After lunch, escape the city for a few hours on a boat trip to the Toronto Islands. This group of 15 islands is only 100 metres offshore at its closest point, but makes for a relaxed waterside escape from the city. The islands are a mix of nature reserves, beaches, boat clubs and residential islands. Together they make up the largest car-free urban community in North America. If you’re pushed for time you can take a one-hour sightseeing cruise through the waterways. Or if you’ve got longer you can catch the ferry and stop off on one of the islands. Either way make sure to look back as you sail out into Lake Ontario for that perfect Toronto skyline view. The islands are a great place to hire a bike or a canoe and explore for a few hours. Or you can visit the amusement park on Centre Island and relax on the beach with an ice cream. 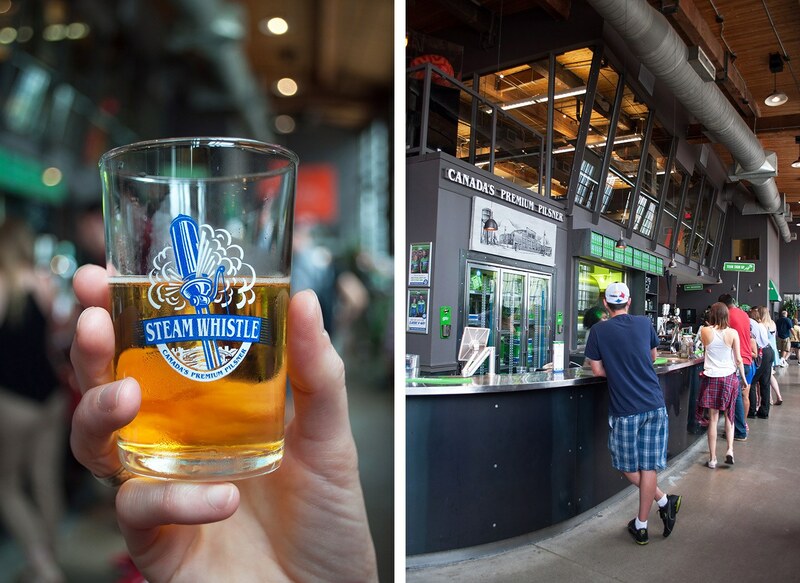 Back on the mainland, finish off your weekend in Toronto with a beer at Steam Whistle Brewing. This microbrewery is set in a historic brick roundhouse. 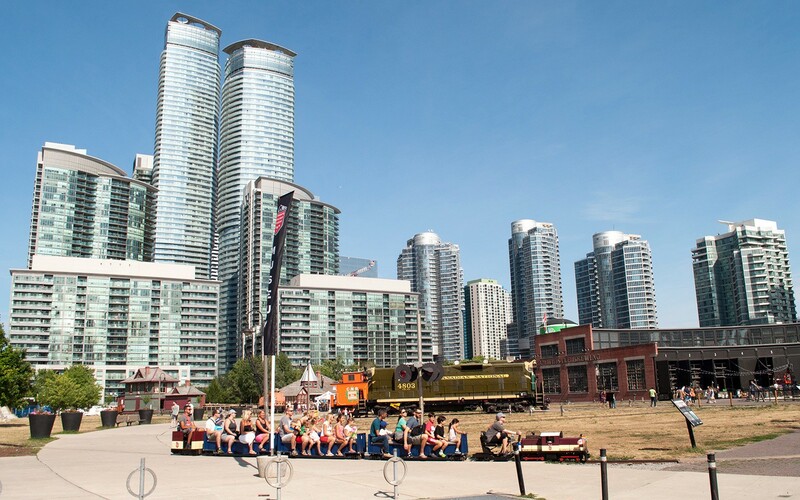 It’s part of the Roundhouse Park and is surrounded by the Toronto Railway Museum’s collection of vintage trains. There’s an original 120-foot-long locomotive turntable as well as a miniature train you can take a ride on. Steam Whistle’s award-winning pilsner is made from four simple ingredients – hops, malted barley, yeast and spring water. You can find out more about their history and how it’s made with a free half-hour brewery tour (book in advance though as they’re popular). Cheers! It’s been a while since I’ve been to Toronto but you brought back some great memories. Thanks! We visited earlier this year and absolutely loved it, especially the Distillery District and the Steam Whistle unfiltered IPA also sticks in my mind. As does the French toast with maple bacon and maple syrup for breakfast. Just as well we didn’t stay any longer, but I long to go back. 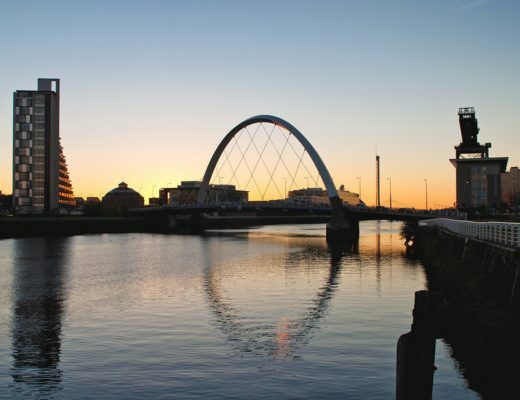 Awesome tips and advice for a whistle stop tour of the city! Gotta love Toronto. 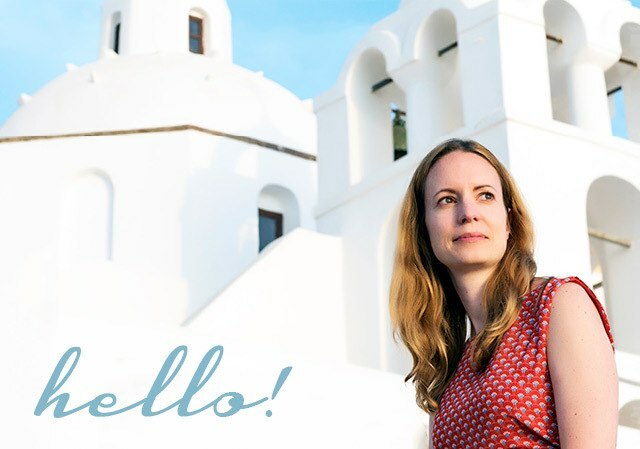 Thanks Laura, it’s a great city! I’ve wanted to visit Canada for ages. Toronto looks like a great city. The Lawrence Street Market is where you’d find me! When I lived in Vancouver people always told me my spiritual home as actually Toronto because it is so much more multicultural and artsy than Van. The one tip I’d give people who like the look of Toronto after reading your post is not to think that they’ll wait until they ‘get to Canada’ to go, because it is almost always cheaper to fly from Europe to Toronto than it is from the West Coast of Canada itself – something I didn’t appreciate before I lived there. Basically it’s well worth going to Canada just for Toronto alone! Toronto is so easy to get to from the UK too and there are some great places nearby to combine it with! It’s been about fifteen years since I last visit Toronto. I saw some of the things you mentioned but there are a few new sights now. I hope I get back to check out the city again soon. It’s one of the those places that is always changing so I’m sure you’d find it very different! It does look futuristic with that skyline along the water! 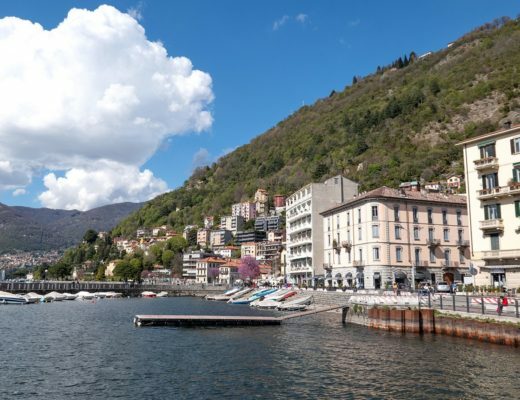 There are some great places nearby to explore (parks, lakes, wine regions) so it’s a good destination for a city-nature combination trip. 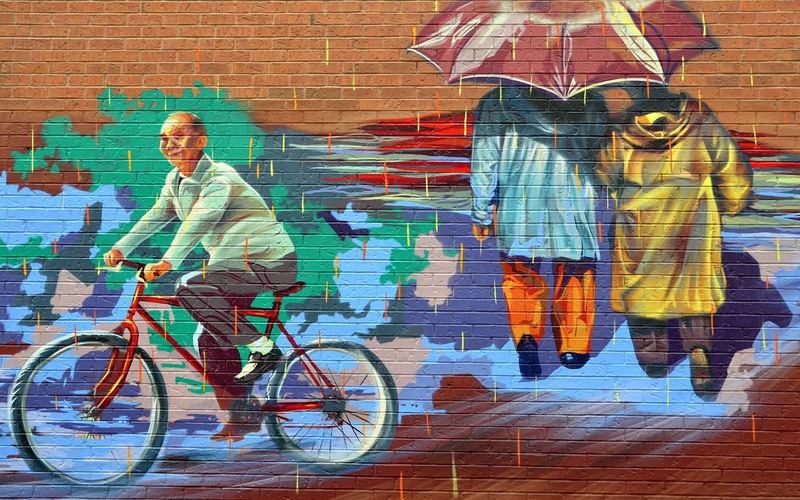 Lucy, you wrote a great article on what to capture in Toronto in 48 hours. My name is Robert Biancolin, co-owner of Carousel Bakery where we have been dishing out Toronto’s Signature Dish ( declared by Mayor John Tory in 2016 as voted by the citizenry of Toronto), the Peameal Bacon Sandwich for over 40 years. Peameal Bacon( a type of back bacon that is strictly Torontonian) was formulated around 1865 by an Englishman , William Davies, who emigrated here in 1854 and set up shop in the St. Lawrence Market. A few years later (because of a diseased hog market in England and Europe) he opened a plant east of the market and started shipping pork to the UK and became the largest pork processor in the British Commonwealth. Because of the number of hogs he was processing Toronto had the nick name Hogtown. The market houses Toronto’s first city hall and there has been a market day every Sat. since 1803, now 5 days a week. So Lucy, next time you are in Toronto you are invited to savour this Toronto tradition on us. We welcome all visiting Toronto to experience the market and Toronto’s Signature Dish! Thanks Robert – sounds great! Hope to make it back to Toronto sometime soon and will let you know when I do.